Naturally Reared Lynne Andress - Langley, B.C. We are a small hobby breeder of the merry American Cocker Spaniel. Our goal is to raise Cockers that not only excel in the show ring, but are also superior in health and temperament. All of our dogs live in the home, and are considered cherished family members. Our breedings are very limited, but sometimes we have pets available to approved homes. All pets placed are to be spayed/neutered. We do health clearances on all of our dogs, including but not limited to Eyes (CERF) & Hips (OFA). 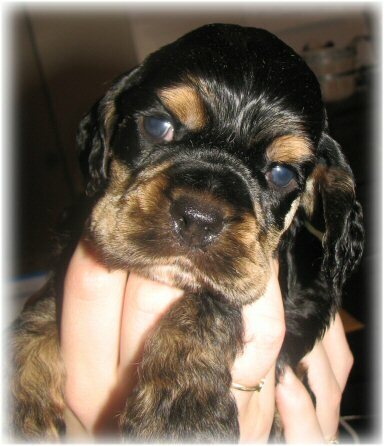 We also provide an extensive health guarantee on our puppies. Thanks for stopping by, we hope you enjoy our site and our Cocker Spaniels! owned by Westland American Cocker Spaniels - Naturally Reared.